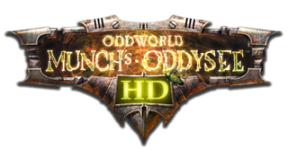 Unlock all other Oddworld: Munch's Oddysee HD trophies. Reach the tunnel on the other side of SpooceShrub Forest. Get through No Muds Land. Leave Vykkers Labs Labor Egg Storage. Finish Oddworld: Munch's Oddysee HD with 10%–30% Quarma. Finish Oddworld: Munch's Oddysee HD with 30%–95% Quarma. Kill a Big Bro Slig in his sleep. Kill 20 Sligs while in possession of a single Slig. Finish Oddworld: Munch's Oddysee HD without having used a wheelchair.